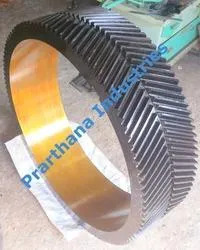 Started with trading in various products since 1984. we, “Prarthana Industries” Established in year 1996, are a prominent name engaged in manufacturing and supplying a remarkable gamut of Jaw Coupling, Gear Coupling, Chain Coupling, Industrial Pulley, V Groove Pulley and Rack & Pinion. In this range, we offer Transmission Gear, Gear Shaft, Industrial Job Work and many more. Furthermore, we are engaged in trading a commendable range of Transmission Sprocket. 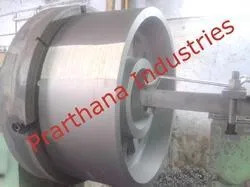 Product-gamut which we manufacture is fabricated by making use of supreme quality basic material such as iron, copper and others, conforming to the defined parameters of the industry. We procure basic material from the established vendors of the industry. Furthermore, we design and develop this gamut in complete adherence with the clients’ requirements and industry laid parameters. Furthermore, range we trade is is procured from the distinguished names of the industry. To satisfy divergent demands of the clients we are offer this range in different sizes, designs and specifications. Moreover, we provide customization facility as per the requirements of the clients to satisfy their individual requirements. With the firm support of our production team, we have been able to provide our clients with the best product range. Team associated comprises qualified procuring agents, manufacturing personnel, quality controllers. These afore-named professionals hold years of experience and command over this discipline. Our team also keeps a close tap on the emerging technology in this industry and develops innovative products incorporating the same, which enables us to confront challenges in this industry. We are also supported by qualified managers and administrators who are responsible for streamlined and timely business operations. Furthermore, we have a state-of-art infrastructure setup which makes us to develop products as per the requirements of the clients. This setup is segmented in different units such as manufacturing; quality testing and warehouse, making us accomplish production targets within determined time-frame. Our infrastructure setup is connected with all the major transportation modes which makes us to deliver consignments within stipulated time-frame at the clients’ end. Apart from above, we are in associations with leading names of the industry. Our vendors hold expertise over this domain and develop products in line with the industry laid parameters. Furthermore, we ethically execute entire dealing process while keeping in mind interests of our valued clients. With our product-gamut and ethical business practice, we have been able to meet expectations of significant clients situated across the markets of nation. Under proficient guidance of our proprietor, ‘Mr. Darshan Pancholi’, we have been able to scale zenith of success in this industry. Furthermore, his commendable knowledge and visionary persona are the prominent factors that support us in staying ahead of the curve. Manufacturing , Trading and Exporting of All Transmission Products and Customised Jobs as per Drawing , Technical Details or As per Sample. The most prominent factor which has made us enough competent to confront challenges in this discipline, is our team. Our team comprises immensely qualified and experienced professionals who support us in executing entire business related activities in a streamlined manner, whether it is production or managerial. With their support we have been able to bring forth the best-in-class range of Gear & Chain Coupling, Industrial Pulley, Rack & Pinion and Conveyor Rolls. Our team precisely develops this range in line with the industry laid quality parameters and prevailing markets demands. Along with this, our team makes striven efforts in order to procure the best range of Transmission Sprocket from prominent names of the industry. Furthermore, our team members conduct extensive R&D to bring forth improvised products, thereby making us to stay ahead of the curve. We procure a wide gamut of products from the most trustworthy, reliable and reputed vendors of the market. Our vendors are selected after extensive market research by the experienced professionals appointed by us. These vendors use only superior quality raw material in the manufacturing process. Furthermore, they carefully test the quality of the finished products on several parameters before the delivery to us. Besides, they provide these gadgets within the given time-frame in order to have no delay on further trading of products.